“When God our Savior revealed his kindness and love, he saved us, not because of the righteous things we had done, but because of his mercy. Pray for people who let evil thoughts control what they do. Sometimes they do things that have the potential to hurt many people. One again, a terrorist tried to kill many people in NYC. I’m thankful that the bomb malfunctioned and did not hurt as many people as it could have. I pray that as the devil tries to disrupt our lives, we are aware of his evil plans and do not succumb to them. Instead of following the devil, I choose to think of many people who go out of their way to be helpful to others. We all make choices every day. Let’s choose the better path. A resident of Amite, passed away on Monday, December 11, 2017 at 58492 Frey Lane in Amite. He was born November 21, 1939 in Opelousas and was 78 years of age. 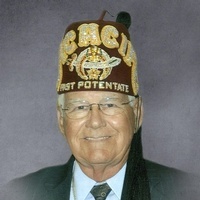 He was a veteran of the U. S. Air Force, a member of First Baptist Church of Amite, Past Master of Amite Masonic Lodge #175, member of Acacia Shriners where he was Potentate in 2003, a member of Scottish Rite of Freemasonry 32 degree KCCH, and a member of the American Legion. He is survived by wife, Frances Lupo Durio, Amite; son, Vincent Anthony Durio and wife, Pam, Hammond; grandson, Brandon Anthony Durio, Houston, TX; sister, Rose Marie Durio Savoie and husband, Leroy, Pearland, TX; brother, John Russell Durio and wife, Renee, Amite. Preceded in death by parents, Joseph Durio and Ada Marie Zeringue Durio. A Memorial Service will be held at a later date. McKneely Funeral Home, Amite, in charge of arrangements. For an online guestbook, visit http://www.mckneelys.com. Read the Bible today – I John 3-4 and Psalm 37.